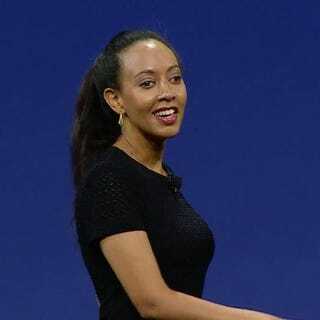 Girma was born in Oakland, Calif., in 1988 to an Ethiopian father and a mother who fled Eritrea in 1983 at the height of the country’s independence war, according to a profile on Face2Face Africa. Girma’s older brother, who was born in Eritrea, is also blind and deaf, but he was not able to benefit from access to the opportunities that she was afforded. When my grandmother took my brother to a school in East Africa, they told her that deaf-blind children can’t go to school. There was simply no chance. When my family moved to the U.S. and I was also born deaf-blind, they were amazed by the opportunities afforded by ADA. ... For my grandmother back in Africa, my success seemed like magic. For all of us here, we know that people with disabilities succeed not by magic but through opportunities.